It's a privilege to be an American who works on foreign policy, as I have done since the late 1970s, participating in a small way in the grand project of finding my country's place in the world. But now, under Barack Obama, decisions made in Washington have dramatically shrunk in importance. It's unsettling and dismaying. And no longer a privilege. Whether during the structured Cold War or the chaotic two decades that followed, America's economic size, technological edge, military prowess, and basic decency meant that even in its inactivity, the U.S. government counted as much or more in world developments than any other state. Sniffles in Washington translated into influenza elsewhere. Weak and largely indifferent presidents like Jimmy Carter and Bill Clinton mattered despite themselves, for example in the Iranian revolution of 1978-79 or the Arab-Israeli conflict in the 1990s. Strong and active presidents like Ronald Reagan and George W. Bush had greater impact yet, speeding up the Soviet collapse or invading Afghanistan and Iraq. But now, with Barack Obama, the United States has slid into shocking irrelevance in the Middle East, the world's most turbulent region. Inconstancy, incompetence, and inaction have rendered the Obama administration impotent. In the foreign policy arena, Obama acts as though he would rather be the prime minister of Belgium, a small country that usually copies the decisions of its larger neighbors when casting votes at the United Nations or preening morally about distant troubles. Belgians naturally "lead from behind," to use the famed phrase emanating from Obama's White House. 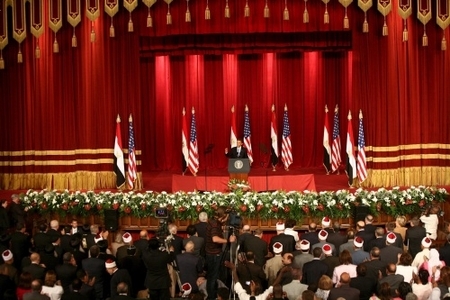 Obama's 2009 speech in Cairo was a very long time ago. Qatar (with a national population of 225,000) has an arguably greater impact on current events than the 1,400-times-larger United States (population: 314 million). Note how Obama these days takes a back seat to the emirs of Doha: They take the lead supplying arms to the Libyan rebels, he follows. They actively help the rebels in Syria, he dithers. They provide billions to the new leadership in Egypt, he stumbles over himself. They unreservedly back Hamas in Gaza, he pursues delusions of an Israeli-Palestinian "peace process." Toward this end, the U.S. secretary of state made six trips in four months to Israel and the Palestinian territories in pursuit of a diplomatic initiative that almost no one believes will end the Arab-Israeli conflict. 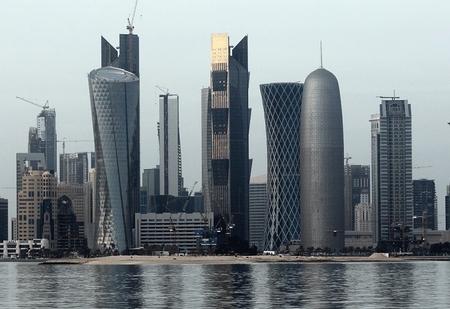 Doha, now more influential than Washington in the Middle East. Meanwhile, the U.S. secretary of defense called Egyptian leader Abdul-Fattah al-Sisi 17 times in conversations lasting 60-90 minutes, yet failed in his pleas that Sisi desist from using force against the Muslim Brotherhood. More striking yet, Sisi apparently refused to take a phone call from Obama. The $1.5 billion in annual U.S. aid to Egypt suddenly looks paltry in comparison to the $12 billion from three Persian Gulf countries, with promises to make up for any Western cuts in aid. Both sides in Egypt's deep political divide accuse Obama of favoring the other and execrate his name. As dozens of Coptic churches burned, he played six rounds of golf. Ironically, Egypt is where, four long years ago, Obama delivered a major speech repudiating George W. Bush policies with seeming triumph. 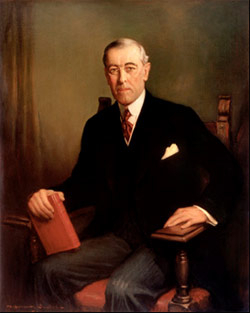 Woodrow Wilson (1913-21) was the first of four Democratic presidents greatly to increase the power of the state. Obama's ambitions lie elsewhere - in augmenting the role of government within the United States, as epitomized by Obamacare. Accordingly, he treats foreign policy as an afterthought, an unwelcome burden, and something to dispatch before returning to juicier matters. He oversees withdrawals from Iraq and Afghanistan with little concern for what follows. His unique foreign policy accomplishment, trumpeted ad nauseam, was the execution of Osama bin Laden. So far, the price to American interests for Obama's ineptitude has not been high. But that could change quickly. Most worrisome, Iran could soon achieve nuclear breakout and start to throw its newfound weight around, if not to deploy its brand-new weapons. The new regime in Egypt could revert to its earlier anti-Americanism and anti-Zionism; already, important elements in Egypt are calling for rejection of U.S. aid and termination of the peace treaty with Israel. As an American who sees his country as a force for good, these developments are painful and scary. The world needs an active, thoughtful, and assertive United States. The historian Walter A. McDougall rightly states that "The creation of the United States of America is the central event of the past four hundred years" and its civilization "perturbs the trajectories of all other civilizations just by existing." Well not so much perturbation these days; may the dismal present be brief in duration. The Washington Times graphic accompanying this article.